Brand New! Full-Size Horizontal Weekly Planner Printables! There are so many variations of the weekly planner out there. I think that’s one of the reasons I find myself moving back to a weekly layout – the options seem endless. Recently I’ve fallen in love with the horizontal layouts. I already use one in my personal/family planner, but you know me, I’m always on playing around with things. Today, I’m sharing my newest creations – the full-size horizontal weekly planner printables. I honestly can’t tell you what it is about the horizontal layout that I really like. It might be that there is extra writing room, or maybe it’s just that I’ve used the vertical ones for so long that just the simple act of using something different makes it more fun. I do know that I’m loving these new printables, though. One of the first things you’ll probably notice is the three habit trackers across the top of the page. I don’t know about you, but I love using habit trackers to help keep me – well – on track. I’ve been using this for my top three daily things and really like having those reminders front and center. The next thing you might notice is that I started these ones off on Sunday. It’s a switch from my normal Monday start for the weekly planners, but I figured a new printable was a great time to test it out. I’m not 100% sold on this yet. I do my planning Sunday evening, so for me, I’m flipping pages when planning. If you prefer the Monday start format, let me know. Maybe I’ll make another version of these for the holidays. So those are the brand new, full-size horizontal weekly planners. 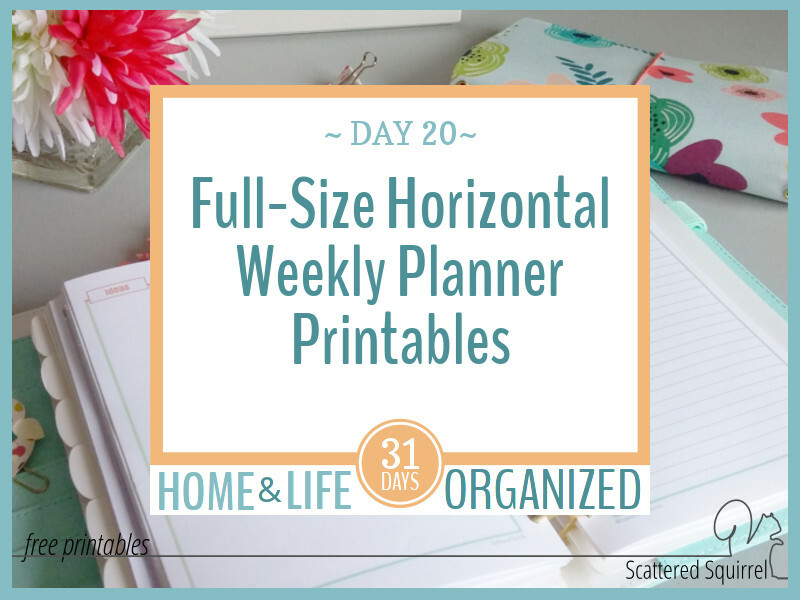 For my fellow half-size planners, I’ve got you covered too. They’re coming out in the next post. They just need a few final finishing touches. As always, to grab a copy of the printables you like, simply click the pictures of the ones you want and you’ll be taken to the PDF. Just a friendly reminder, all printables shared here are free for Personal Use only! If you would like to use the printables in a commercial application, shoot me an email (click the contact button up top there) and we can chat about it. This is the time when I turn things over to you, and this time I could really use your help! I went back and forth quite a bit trying to decide how these should look. I knew I wanted to keep them simple but a little fun. The biggest challenge was choosing between a single page or a week on two pages format. I’m toying with the idea that two pages might also be a good option. I’d love to hear your opinions on this, so if you’d like a two page per week format in the horizontal layout, please let me know in the comments below. Hi! These looks great. But I prefer week starting Monday! It’s more clear use that, and what about weekends banner?! I prefer a Monday start too. They are coming, I’m shuffling some of the posts around so I can fit them into the series too. Thank you for all your work! You really help me set up my new A5 Filofax! That is music to my ears Posinoe. I hope you enjoy them! Oh I’m happy to hear that Laura. 🙂 I hope you enjoy using them! Hi I’ve just found your blog, love that you’ve made some horizontal pages as I was thinking am I the only one that prefers these!!! Love if you could make some that start Monday as I like keeping week ends together. 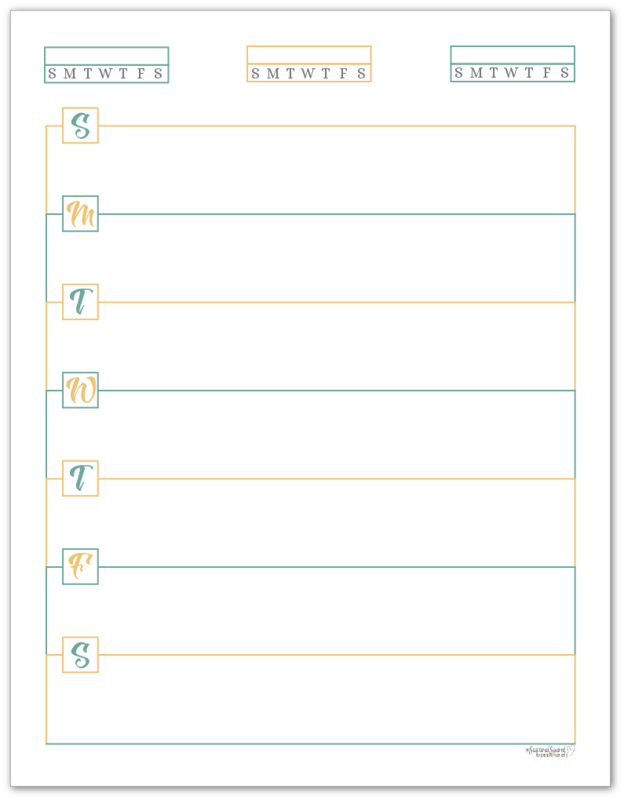 Hi Wendy, I did make a Monday start version, you can find them on the Home and Life Organized page. I like keeping my weekends together too! Hi Kristin, not a problem. I generally start my weekly planners on a Monday, because I do all my planning Sunday night. I’m trying to remember to include Sunday starts from now on. 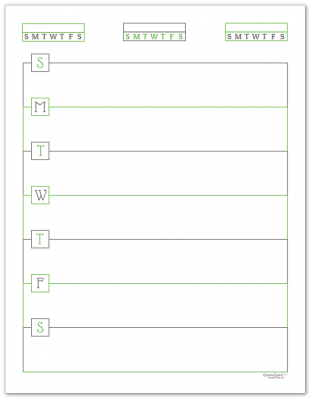 I’m working on updating all the weekly printables over the next few months so that there are more options for those who like their weeks to start on a Sunday. Thank you for these! I’ve made a similar style planning sheet for years but was looking for a more coordinated look, so I’ve been using all your various planner sheets. Thanks so much Jessi. I’m thrilled to hear that you’re liking the printables and finding some that work for you. 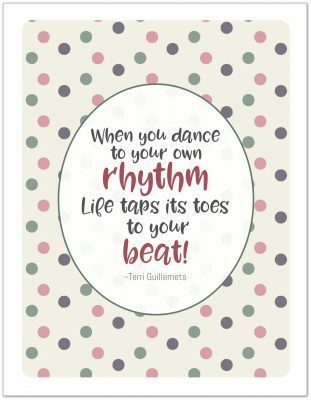 Hi Tammy, to get your copy of the printables, you just need to click on the picture or pictures of the ones you want. Depending on your browser settings, the PDF will open in a browser tab and you can download or print from there; or a dialogue box will pop up and ask you if you want to save or open the file; or it will automatically download to your computer. If you download them, to print them you just need a PDF reader like Adobe Reader, open in that program and print from there.